Deluxe Package – Competition Entry, Studio Consultancy and Development Notes, just £249! WriteMovies offer an industry-leading track record of providing truly international script competitions, studio-quality consultancy for writers and producers, and securing our winning writers the deals they deserve in the industry. You can combine our services to get the best possible prospects of success. … all for just £249 (a significant discount), enter using the form below! 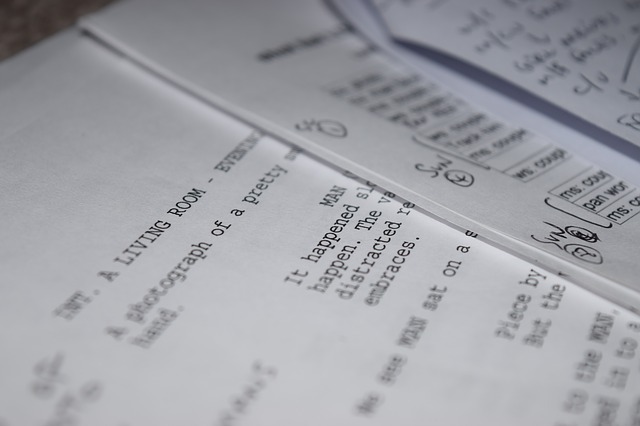 TIP: Studio Consulting is a report that an analyst would give a producer which assesses the current potential of the script and writer, and recommends whether the script and writer are currently worth commissioning (and a ‘Recommend’ is quite rare). Judging Feedback provides briefer extracts from the same report, without some sections. Development Notes are designed to help the writer achieve their goals with the script and improve its commercial potential. See the latest Main Contest page in our ‘Contests’ menu above. Note: We no longer accept checks due to issues with fraud. Please use the Paypal options when participating. Refunds or cancellations must be requested within 14 days and/or before any public announcement of winning entries and/or before receipt of any completed Consulting report (which will typically be within 7-14 days). Disagreement with the opinion and suggestions of the Analyst is not accepted as valid grounds for a refund, however we are happy to receive other feedback and enquiries. Click HERE to generate an email (if you have email software installed), or just create an email to “author@writemovies.com” yourself. ATTACH your script file, ensuring that it has a coversheet with your contact details (File Formats: pdf, txt, doc, docx). Then SELECT, COPY AND PASTE all of the text from below, into the body of the email. Add your details to it as indicated – all items marked * are essential for legal purposes and your script may be rejected or returned to you if any of them are missing. Once you’re done, hit Send! 3. To my holding WriteMovies and all those involved in it, harmless from and defends them against all claims demands, losses, costs, damages, judgments, liabilities and expenses (including attorney’s fees) arising out of or in connection with any and all claims of third parties, whether or not groundless, based on any stories submitted to the competition or on any screenplay developed out of such stories. 4. That I recognize that WriteMovies and those involved in the competition to which this submitted entry pertains, may have access to, and/or, may have created, or have commissioned, through some other independent source, or may have otherwise acquired, literary materials and concepts, similar to the material submitted hereunder, in theme, idea, plot, format, or in any other respect. I agree that I will not under such circumstances, be entitled to any compensation, nor consideration of any kind, through the use by WriteMovies of any material so acquired. The ownership of any literary work submitted shall remain vested in the author, until otherwise assigned by contract. 5. That should I be one of the winners, I grant WriteMovies the exclusive right to submit my material to as many studios, production companies and agencies as seen fit, for a period of ninety days. I also grant WriteMovies the right to use my name, as well as the title and synopsis of my submitted material, in all publicity and promotional activities related to the competition. I also grant WriteMovies the right to contact me to provide me with contest updates. Thank you so much for the notes on "Rat Girl"! I deeply appreciate your generous gift of time. It's a thrill to receive comments from somebody(you) who writes with passion and overall mastery of the relevant information. I plan on doing a rewrite based on your input then resubmitting my script to the AEX contest. Thanks again for your help!